With the release of Gears of War in the recent past, there has been a lot of buzz for this game. The gamers all around had been waiting for the weapons of destruction to be unleashed so that they can use in their own way. Games of this brand have been on only consoles but except for the first and the fourth part. Everyone was waiting for this game so eagerly that it as it was released it had created its own impact and has been a successful game throughout its series. The Coalition has packaged a bountiful splendid game which has the perfect contents as aspired by a gamer with thrills and the adventures of war. 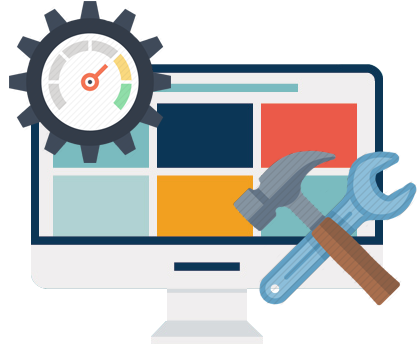 Though its wonderful experience has taken everyone by craze but some of its glitches and bugs are still preventing many users to take a leap on this game. 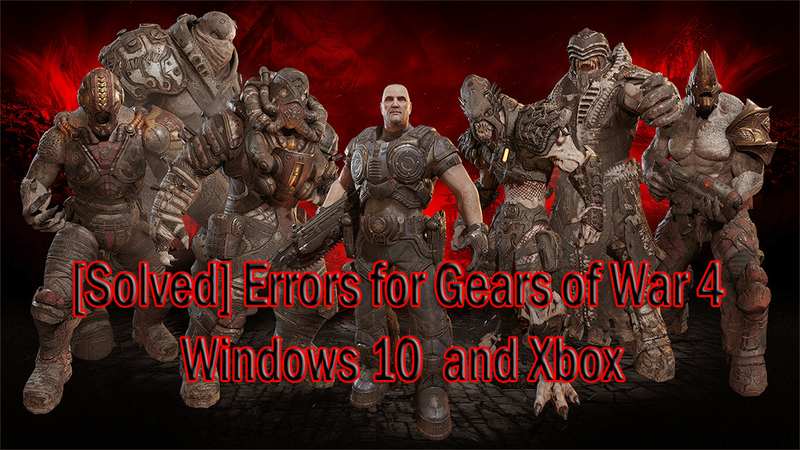 Read further to know about the various errors for Gears of war 4 and the workaround for them. 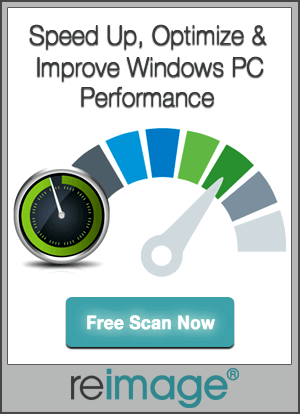 But before that make sure your PC meets the minimum specs requirement. 1. Open CMD (admin) by clicking RCB from your mouse on the Start menu of your Windows 10 screen. 2. Hit enter after typing command net stop wuauserv. 3. Then enter this command and hit the Enter key. 4. Then type net start wuauserv. Go back to your Windows store and check if Error 0x80073CF9 still haunts you. If yes, try another method. 1. Type Powershell on start menu run it as admin. 3. Hit enter and close it. Return to your Windows Store and resume your Download. 2. In the Start Menu search box type wsreset and run it as admin. Note: If you do not find wsreset tool in the search results then navigate to the drive where windows 10 is installed. Then go to Windows folder>system 32, you’ll find WSReset.exe. Open this program. 3. The Store will reset and automatically launch. 1. Press the Windows + R and type regedit. If this error pops up then it indicates that your digital license for Gear of War has been revoked. There has been your key to this game has been obtained illegitimately and thus it has been revoked. If your key is proper and legal then contact NVIDIA support for further details. The developers are investigating reports of some users who have been experiencing this. If you are missing content then stay updated and as soon something regarding this will be updated you will find a solution to this. At present, Gears of War 4 does not support explicit multi-GPU. But sometimes in single GPU also performance get slowed down and users are not able to experience the real graphics of the game. In GPU, it occurs due to enabled SLI in the NVIDIA control panel. So, before launching the game ensure that you have disabled SLI . On XBOX one, it has been experienced that as soon as a new session for Multiplayer starts, hitching starts. If not experienced during the start of the new session then few have reported that it occurs during an extended session. If it occurs on Your Xbox One then open four other games and after loading past the initial splash screen then load Gear of Wars 4. If above doesn’t work then you can uninstall and then re-install the game. Hope it works. 1. Make sure you install Gear of War 4, in a drive with the NTFS format to avoid installation failure. 2. Windows EFS service should be enabled in order to run title. 3. Make sure your Windows Automatic Update service is enabled to avoid certain errors. 4. Ensure your Firewall Setting is turned ON Nat setting should be open or moderate to prevent an issue of co-op partner being kicked to the main menu upon loading Campaign. 5. Your Telemetry and Application Telemetry Setting should be enabled and the service “Connected User Experiences and Telemetry” also should be enabled to avoid PC achievements error. With these methods, you might have solved your error in Gears of War 4 and now you are playing you game glitch-free.